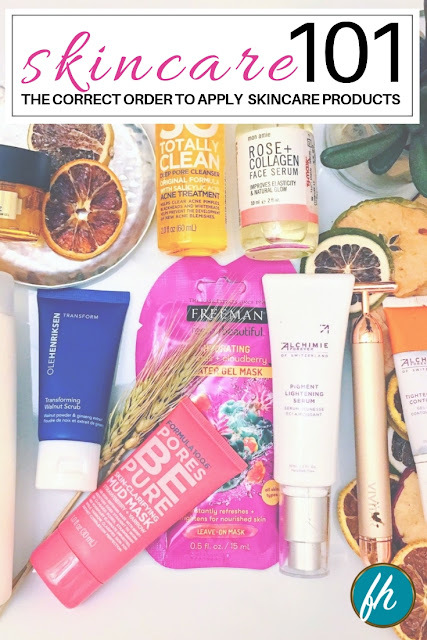 This post features products sent for consideration and products purchased with my own money and may contain affiliate links. 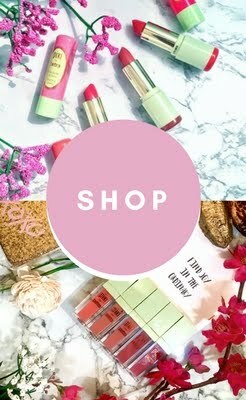 Purchasing through affiliate links helps to support this website. Let's be real, the eyeshadow palette that generated the most buzz and uproar this year was obviously the Anastasia Beverly Hills Subculture Palette. Can we agree with that? Many had high hopes for this palette because of the success of the sister palette Modern Renaissance. The bold, extremely pigmented, unique colors of this palette had people shaking in their Louboutin's . However there were a lot of mix reviews some being highly disappointed and some loving the palette. The issue some found with the palette is the amount of kick back and fall out that this palette gave them. But what I noticed were people were swirling really hard into the palette like there was no tomorrow and when you're dealing with a palette that's as pigmented as this palette you want to always tap just to see how much coverage you get. Yes you will get kick back some palettes more then others but there is no reason to dig into a palette like many were doing unless it's hard press which the only way to find out is to test it with a slight dab or even a slight swirl to see how much product you pick up. It's better to start with a small dab and work your way up then going all in. Of course it's going to hit pan fast. 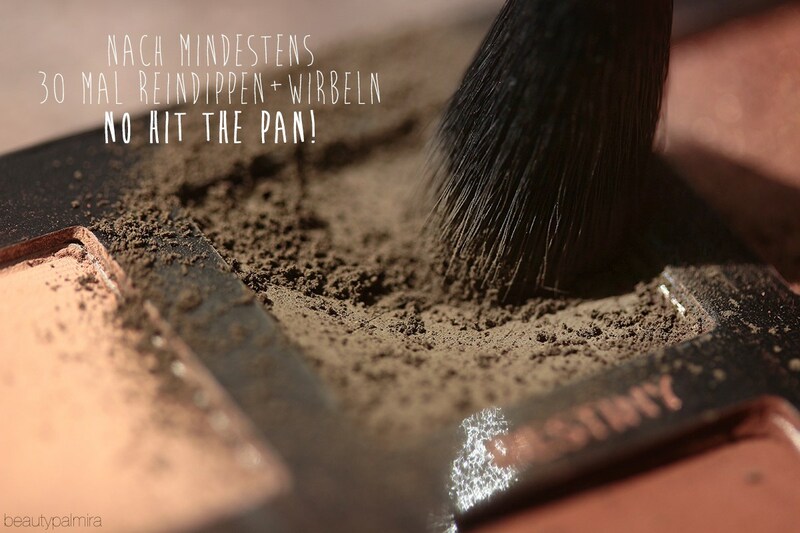 One brush tap of this palette can easily cover the whole lid space. Also some felt that the color were blending into a pile of mud as they call it. Well that would happen if you didn't have the basic knowledge of color theory. 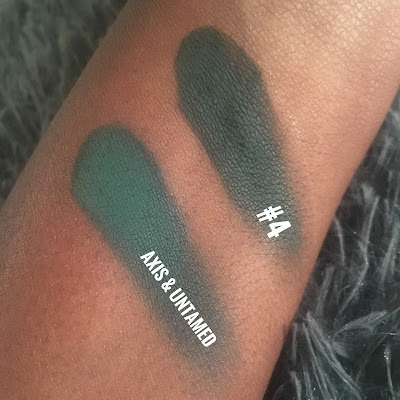 Because these shades are unique and when you're blending example greenish tones into a brick red remember these shades are on the opposite side of the color wheel so that means they will cancel out each other which also means when a shade cancels out another shade it neutralizes itself turning into a brownish tone. So this knowledge is important. Its all about technique and basic knowledge of how to place your colors. I know people were saying palettes shouldn't be this complicated and shouldn't have to be schooled to use a palette. Which may be true in some sense but I could say we shouldn't be so basic. But that's definitely my opinion. I believe makeup is something that is trial and error. 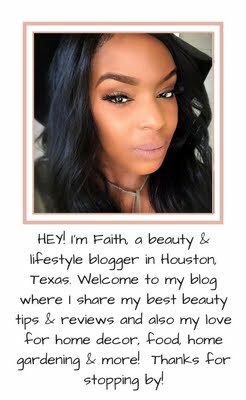 You learn about formulations, new techniques that work for you. We learn how to work with certain products by testing the product. This requires practice and skill which makes us artists when we learn to master how to use a product. Technique over time can be learned. 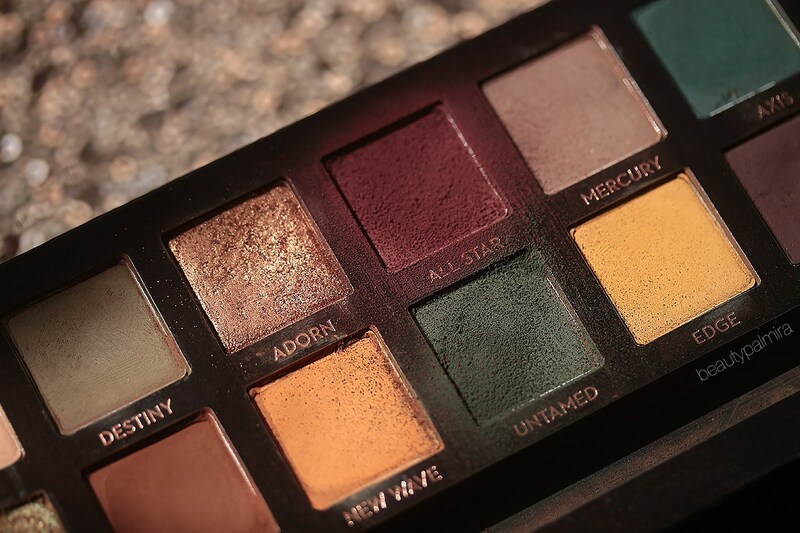 Honestly I thought that this palette should have been released to the pro artists because I feel that it would have been received better. In no way am I discrediting anyone however every palette is different, it's packed differently and it was released to the consumer base. Which a lot of consumers base their thoughts on what "influencers" say and there were a lot of influencers that didn't know how to work the palette. Just because you can paint you face well doesn't mean that you're great at everything. If you don't know how to work with pigments then you won't know how to work with this palette because that's basically what it is. It requires some technique and level of skill and knowledge of color to be able to know what works best and how to blend everything. And sometimes realizing that simplicity is sometimes better with certain palettes and this is one of those palettes that you don't have to overthink necessarily. I have seen some complicated looks and seen how those artist managed to pull off those beautiful compositions so it can definitely be done. This could have easily turned into a pile of mud in the crease but she managed to pull this bold emerald green look off well. And sometimes it's just truly testing the product out and challenging yourself beyond the norm. If what you were doing wasn't working then try another technique this is how artist grow. I do realize that there will be people that just don't like the palette for them and they may need something that's less complicated and and not as time consuming. All and all I think this is all about "preference" and less about the performance of the palette. Now this palette is not perfect. 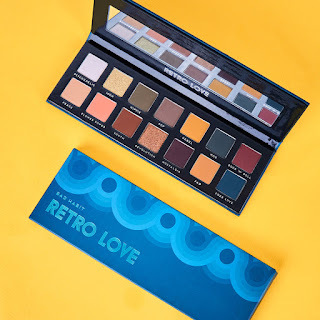 It has its hits and misses but overall I love the palette and I would definitely purchase it again. 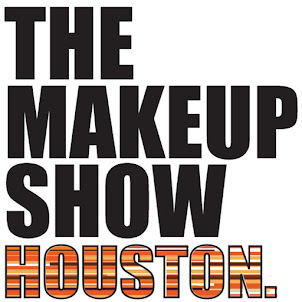 I got it for a discounted price of $33 at The Makeup Show Dallas but I would definitely purchase at it's full retail price of $45. In the mean time I so happen to stumble across a dupe palette that house some similar shades that's not only budget friendly but user friendly and are pretty pigmented. As I said this is not something I was looking for because I don't just go around looking for dupes. But because of the uproar it did make me pay a bit more attention to the options that's available. As mentioned there are shades in the NYX Earth palette with the naked eye you could compare to the ABH Subculture palette. However a couple of the shades that were swatched look different which you will see in the swatch photos. Dawn & #1 are somewhat similar. Still a beige tone accept dawn has a bit more peachy tones to it. When it comes to texture. 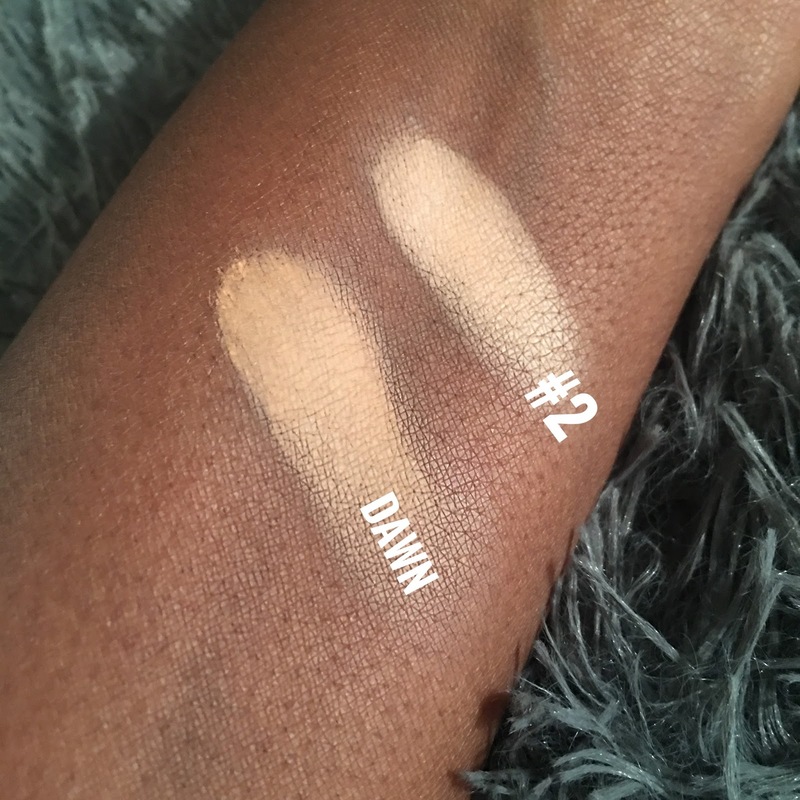 Both Dawn & #1 has a velvety silky texture but they blend out differently. #1 is definitely blends more with ease because of the texture. But it has the same amount of impact when it comes to pigment. Another thing I notice with these two particular shades is the texture of the skin. Dawn has a smoother texture and tends to camouflage texture on the skin better. So Dawn almost glides over the skin like veil and #1 kind of settles into the texture of the skin which is not necessarily a good or bad thing. 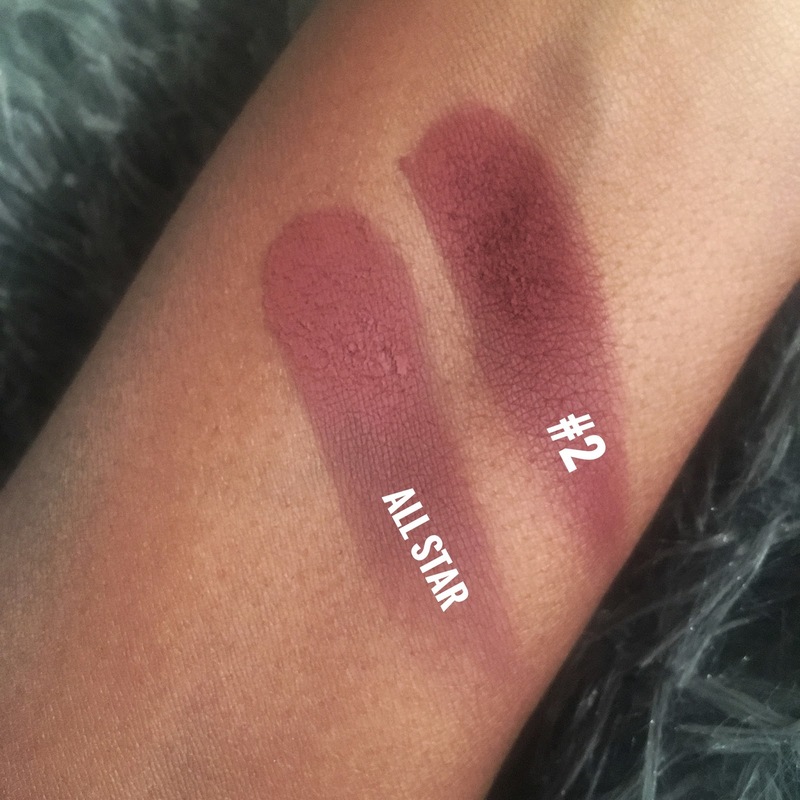 All Star & #2 are almost identical #2 has more depth to it and a bit more red tones. When blended out you definitely see a small difference in tones but it's not that much of a huge difference. In terms of texture it's obvious that "All Star" has more of a smoother airbrush texture and the texture of course is different from All Star but side by side and if used in a look you wouldn't be able to tell that they are different. #2 has more of a powdery texture and you're able to blend it out with more ease. Although very pigmented you may have to build the pigment as you blend out because of the almost powdery texture. 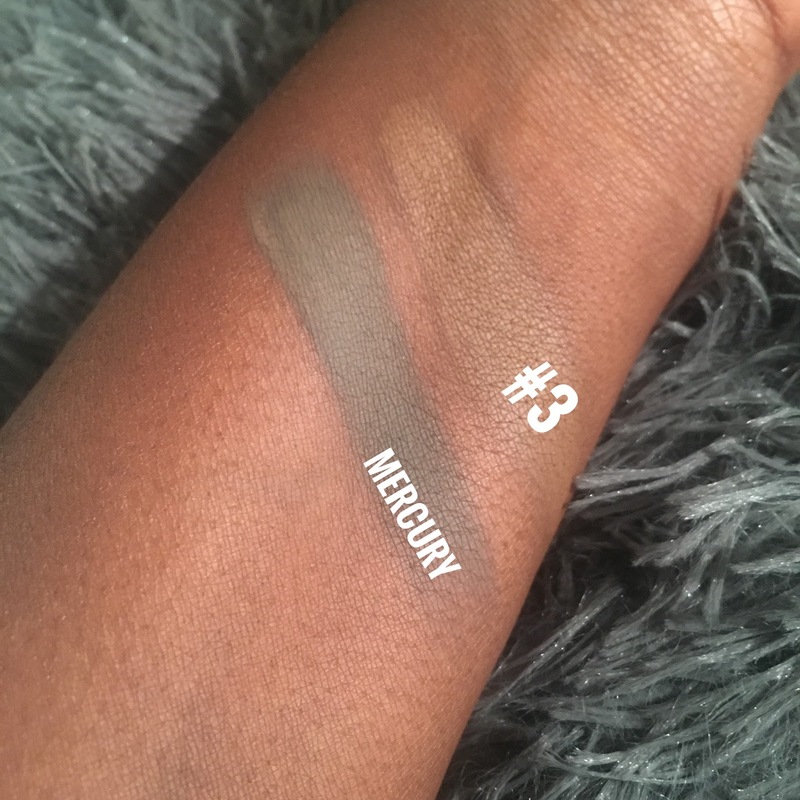 So this is a good example of what I mentioned before of shades looking similar with the naked eye but when swatched it look totally different with contact of the skin. Mercury has more of a greyish olive tone and #3 is a brownish taupe color which is more true to what you see in the palette. I definitely think that these are some pretty accurate dupes. For The Subculture Palette I had to blend two shades to get a shade almost similar to #4. 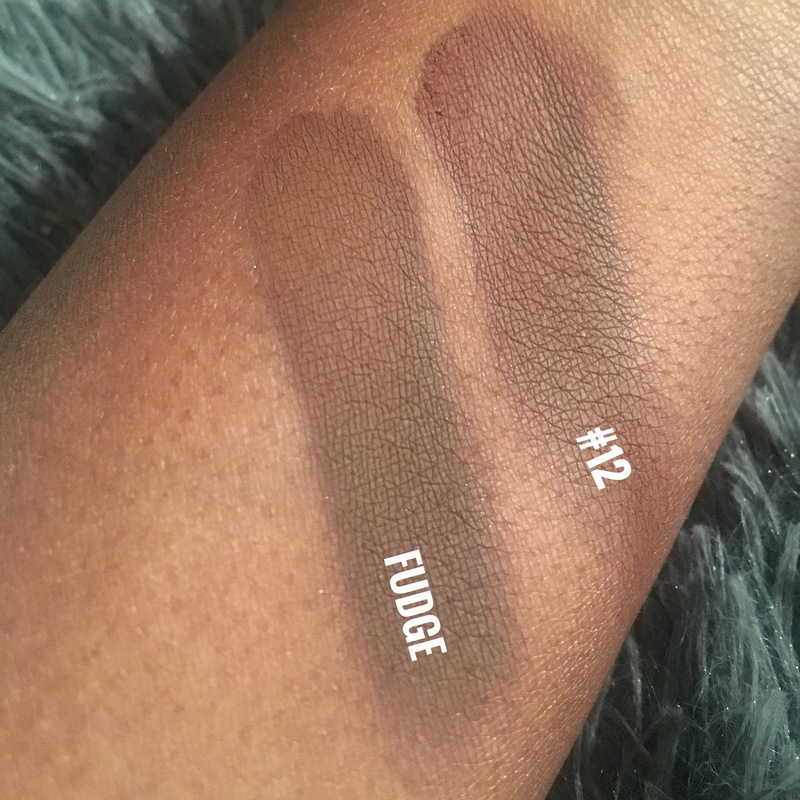 You can obviously see a texture/finish difference in the eyeshadow. Subculture blends a lot more smoothly. But #4 doesn't require that much effort. And side by side if blended you will get a similar tone. 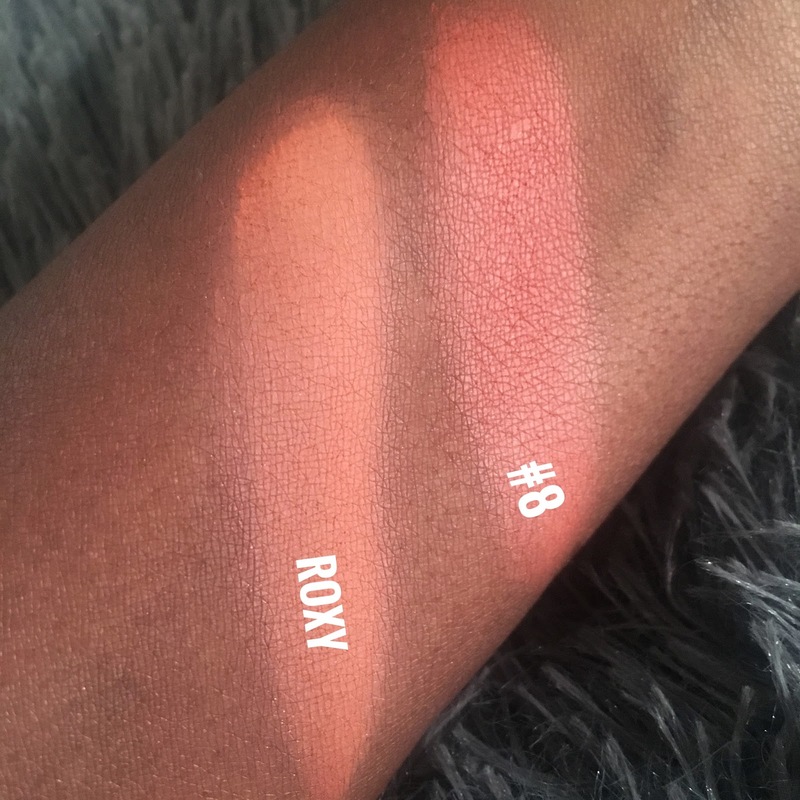 The tones in Roxy compared to #8 is different. #8 has more reddish tones, while Roxy is more of a true orange. But it's not so far stretch that you couldn't create a somewhat duplicate look with it. 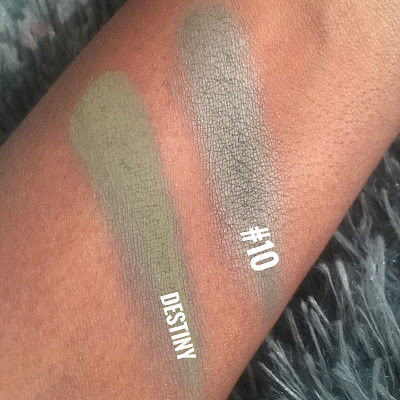 Destiny & # 10 look similar with the naked eye but now we have it where #10 swatches differently on the skin. When you look at #10 it looks completely matte. But it definitely has some sheen to it. 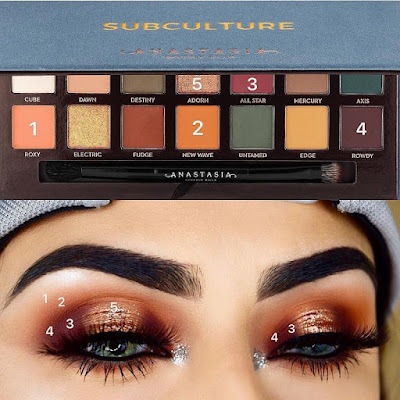 All in all the NYX Earth palette can serve as an alternative for the Anastasia Beverly Hills Subculture Palette somewhat because of the warm muted shades it delivers that's similar to the Subculture palette. I believe that the NYX Earth palette is definitely a lot more user friendly and doesn't require much effort in applying the shades. 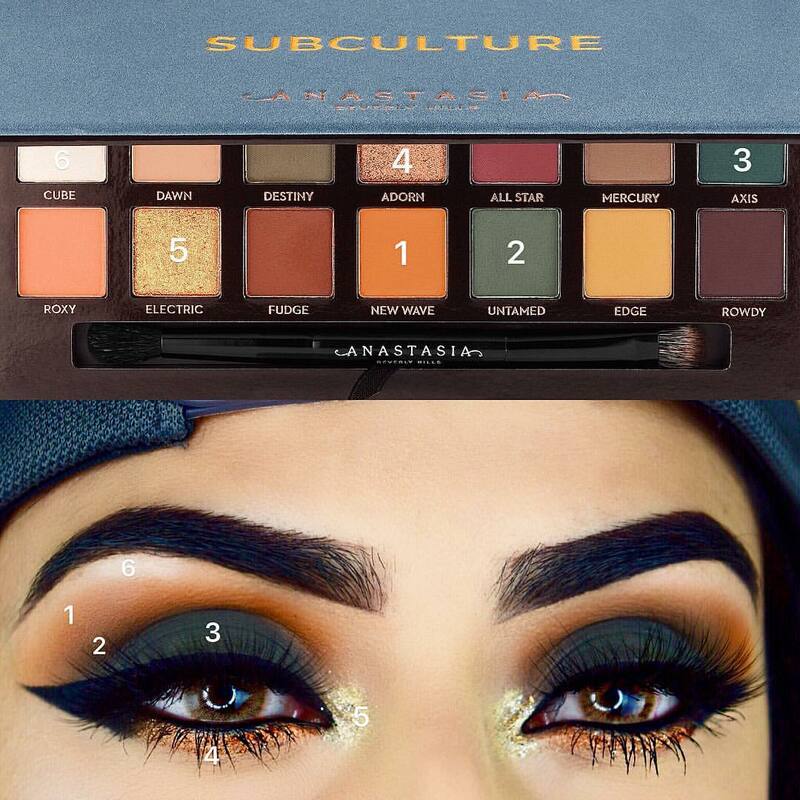 It has impact but you have to build the impact to the level of the Subculture Palette. I love both for different reasons. 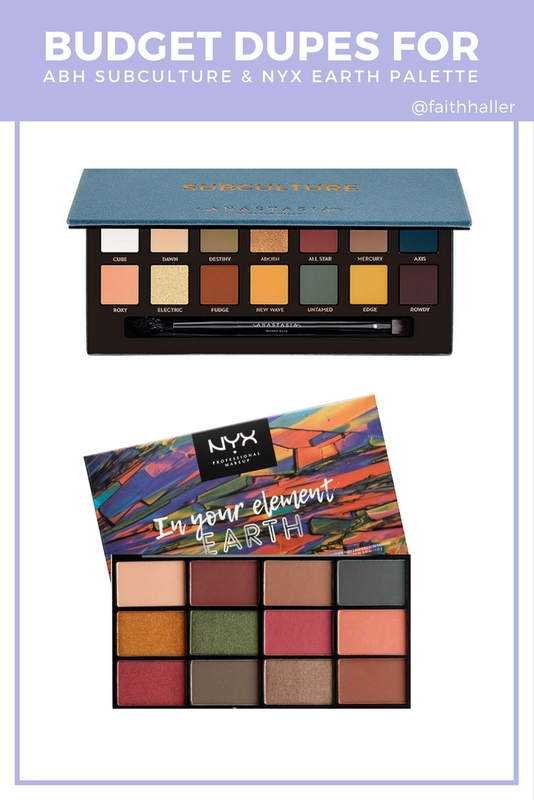 The NYX palette will never be the Subculture palette because what makes the subculture palette what it is, are the bold yellow tones and the deep purplelish brown and the duo-chromes but this can definitely serve as an alternative. If you want something totally similar to the Subculture Palette Here are some other options you may want to check out that got some decent reviews. And here is a palette that look TOTALLY IDENTICAL to the Subculture Palette. 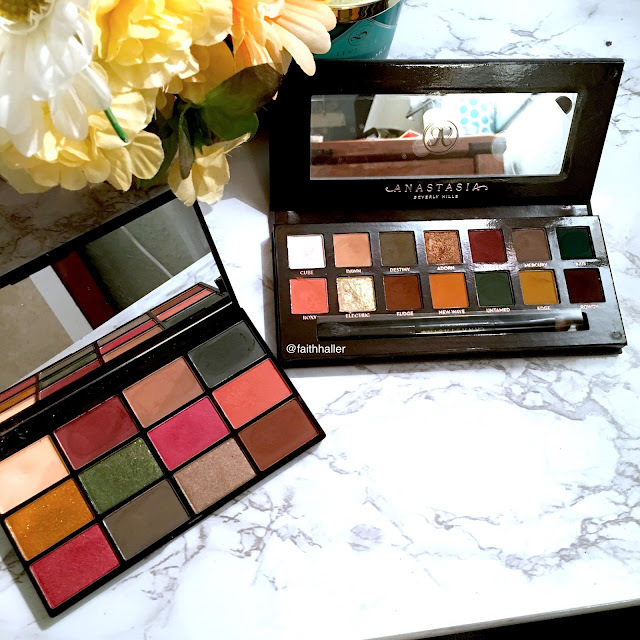 Bad Habit is a beauty brand similar to Makeup Revelution that create affordable palettes that look insanely similar to popular, more expensive palettes from brands like Anastasia Beverly Hills & Huda Beauty. So about this palette... It is called the Retro Love Palette and I hear that it is very pigmented. I haven't had the opportunity to test out this palette for myself but I hear it is pigmented and has staying power however it still doesn't compare to Anastasia Beverly Hills Subculture palette which explains the price tag. You're paying for the quality of the formulas which many times are hard to replicate. But anyway the palette is only $10. So if you want to give it a try let me know your thoughts. I may even give it a try.